The walls were built in the Roman period and the old town - the real pearl of the area "was protected by them. Currently being restored after the fall of about 30 meters of the boundary, which occurred on 18th January 2006, but they are a testimony to the greatness of the city, among the most ancient in Italy. You can access the city center by six gates and the main entrance is Porta Romana. 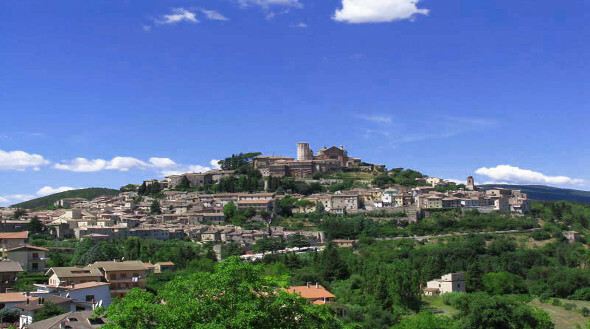 It was built in III century, but it was partly rebuilt in the XVII. In the city center there are many remarkable Renaissance buildings such as Farrattini Palace (mid-sixth century), the largest of the aristocratic residence in the area and Petrignani Palace. It is owned by the town and it can be visited on request and it shows decorations are attributed to the school of the Zuccari. Built in the fourteenth century, St. Augustin’s Church is characterized by a majestic ogival portal and several frescoes by Francesco Appiani. If you want to visit something about the Middle Ages, what can you do in Amelia? You can go to Piazza Marconi - it still retains the original flooring - and you can admire the Loggia of the Auctioneer, a typical medieval grandstand from which were issued the edicts and read the notices to the population. The loggia is topped by a clock and flanked by a column erected in 1479 in honor of Stefano Colonna. Continuing the walk through the narrow streets, you come to the top of the village where you can admire the Civic Tower dating back to the year one thousand twelve-sided and the adjacent cathedral dedicated to Santa Fermina, Patroness of Amelia. 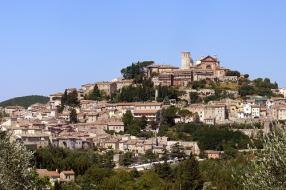 In front of the cathedral you can enjoy the enchanting landscape offered by Belvedere. 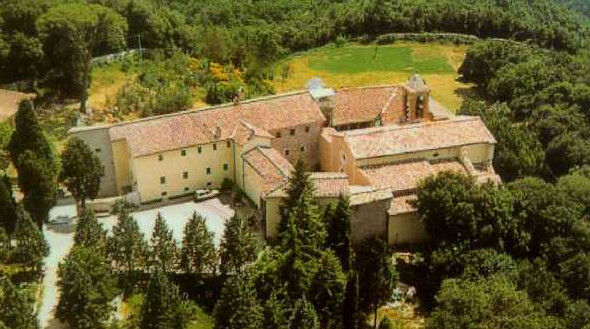 About 4 km from the historic center, located in the heart of a green area and inhabited by the Franciscan Friars Minor, the Convent of SS. Annunziata. About 4 km from the historic center, located in the heart of a green area and inhabited by the Franciscan Friars Minor, the Convent of SS. Annunziata. it was built in the fourteenth century and presents a harmonious Renaissance cloister, while inside you can admire a painting of the Annunciation by Domenico Bruschi (1890), the author of the frescoes of the "Cappella del Transito" in the sanctuary of the Portiuncula. An attraction of great artistic and religious interest is the crib continuing work of Spanish artist Juan Maria Oliva. You can also visit the planetarium located near the convent. When you have finished the tour of the churches and historic buildings, if you are not too tired, there are other interesting things to do in Amelia! Do you like to go to museums? if so, we suggest you to go and see the Archaeological Museum and the Art Gallery Edilberto Rosa housed in the former Boccarini College, an old Franciscan convent with a cloister double loggia built in the sixteenth century. The archaeological section provides an overview of the complete chronological story of Amelia, from pre-Roman times to the early Middle Ages. Of great interest is the bronze statue with a portrait of Germanicus, more than 2.15 meters high. The gallery, located on the second floor, contains works from local churches and palaces, among which include the table with Sant'Antonio Abate (1475) masterpiece by Pier Matteo d'Amelia, and "the crucified Christ and between Saints Firmina and Olympiad "(1557), by Livio Agresti. Another great tourist attraction of the Roman period are the Cisterns and the underground Amelia: a set of subterranean cavities that Romans used as a way out from the city, as a deposit or as sewage and plumbing. An interesting visit to farms and local wineries can not miss in your route! There are many things to eat in Amelia and many farms where you can observe how the crops take place in full respect of nature and enjoy with excellent organic products such as honey, jams and sauces! Try to whet your appetite with extra virgin olive oil DOP and the excellent local wines DOC or IGT (as Sciurio, the Carbio and Ciliegiolo ..): you will not regret! They are excellent with cheeses and charcuterie... even better if they are combined with delicious pasta with mushroom sauce, asparagus and black truffles! 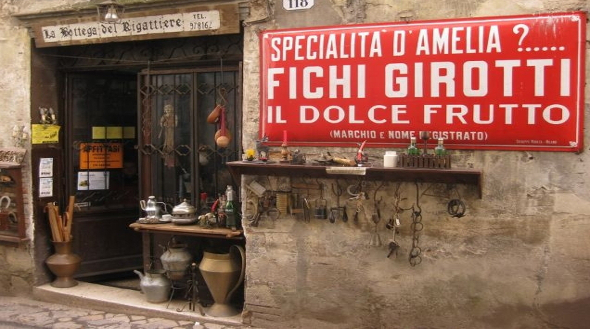 Grilled meat, wild boar and wild game complete the local menu. View the best restaurants in the area of Amelia! >> Click here and book. What kind of sweet can you eat to Amelia? Particularly tasty are Girotti Figs. They are dried, cut and filled with condiments (chocolate and candied fruit, chocolate and toasted almonds, chocolate and walnuts). thereafter they are passed under a press artisan to form a kind of tile from the round shape. Each stage of the process is carried out by hand! >> If you've decided to see Amelia and enjoy the local culinary specialties you should contact now farmhouses in its vicinity >> click this link.